Newborn lamb Finn, raised inside the farmhouse, isn't as big and strong as the other animals on the farm. He can't help but be frightened as he ventures outside and encounters unfamiliar sights, sounds, and creatures. 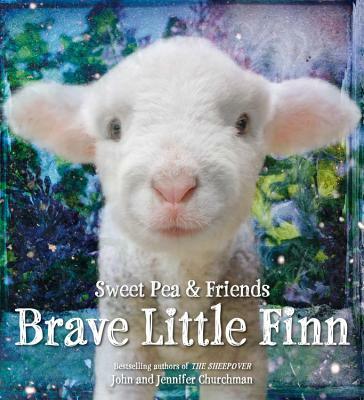 With the help of Farmer John and his animal friends, Little Finn learns to be brave and mighty. John and Jennifer bring their talents together to give voice to the stories of all the animals that surround them and add boundless enjoyment to their lives. They have made their home on a small farm in the beautiful countryside of Essex, Vermont, with their daughter Gabrielle. They are also the authors of the New York Times bestseller The SheepOver.